In 1531 a "Lady from Heaven" appeared to Saint Juan Diego, a poor Indian from Tepeyac, a hill northwest of Mexico City. She identified herself as the Mother of the True God and instructed him to have the bishop build a church on the site and left an image of herself imprinted miraculously on his tilma, a poor quality cactus-cloth. The tilma should have deteriorated within 20 years but shows no sign of decay after over 470 years. It to this day defies all scientific explanations of its origin. Apparently the tilma in the eyes of Our Lady of Guadalupe, even reflects what was in front of her in 1531! Her message of love and compassion, and her universal promise of help and protection to all mankind, as well as the story of the apparitions, are described in the "Nican Mopohua," a 16th century document written in the native Nahuatl language. There is reason to believe that at Tepeyac Mary came in her glorified body, and her actual physical hands rearranged the roses in Juan Diego’s tilma, which makes this apparition very special. An incredible list of miracles, cures and interventions are attributed to Our Lady of Guadalupe. Each year an estimated 10 million people visit her Basilica, making her Mexico City home the most popular Marian shrine in the world, and the most visited Catholic church in the world after Saint Peter’s Basilica in the Vatican. 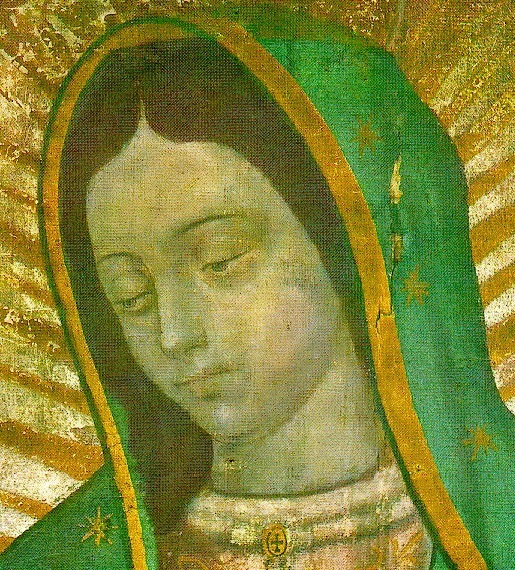 The Feast of Our Lady of Guadalupe is celebrated on December 12th. In 1999, Pope John Paul II, in his homily given during the Solemn Mass at the Basilica of Our Lady of Guadalupe, his third visit to the sanctuary, declared the date of December the 12th as a Liturgical Holy Day for the whole continent. During the same visit Pope John Paul II entrusted the cause of life to her loving protection, and placed under her motherly care the innocent lives of children, especially those who are in danger of not being born.